COMPROMISE... OR ALL-OR-NOTHING? The heart-stopping attraction's still there, but today Lily needs only one thing from old flame Gannon Montgomery - the best legal counsel he can provide. The stakes are high - custody of Lily's son Lucas hangs in the balance. And the rules are clear: Lily's not giving Gannon the chance to break her heart again. Gannon only came to town to sell his family ranch, but Mayor Lily McCabe makes sticking around impossibly tempting. As the tension between them grows, so does the attraction. 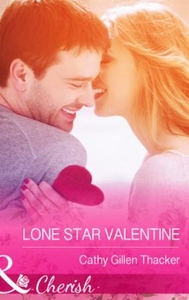 Lily won't compromise, but Gannon's determined to prove his loyalty... and make her his Valentine!